5 Bedroom End of Terrace House For Sale in Hornchurch for Guide Price £375,000. Bairstow eves are pleased to bring to market this 5 bedroom family home! If you want space this is the one for you! As you come in to your new home you'll find a bedroom and WC either side of the hallway. Leading through to the rear you'll find your kitchen/diner following through to the living room being in the conservatory and all open plan! Upstairs you'll find an additional lounge with another bedroom and family bathroom. On the top level you have the last 3 bedrooms one of which being the master. To the front you have parking for 2/3 cars and a garage on the side so there is potential to extend (STPP). 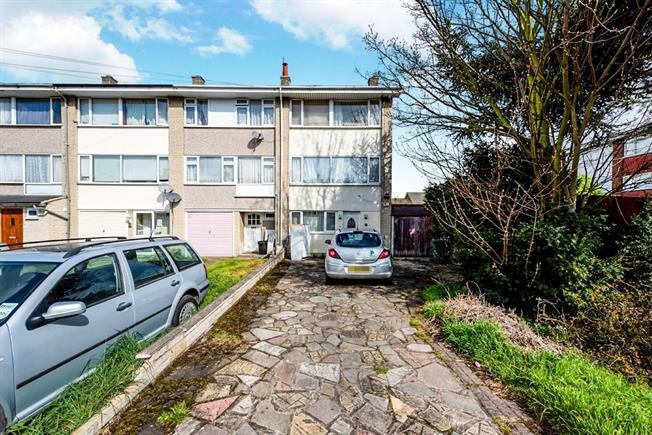 Viewings are advised to appreciate the space this home offers!